Paypal handles all the payment details itself and they are not handed over to the seller. All the possible protection and measures are taken to ensure that all the payment details are safe, secured and confidential to the Paypal only. The payment of order is not forwarded to the seller until the buyer confirms his/her satisfaction for the received order. Refund If the Item Received Is Not as Described or If It Is Not Delivered. In a situation when the order has been confirmed by the buyer and the payment has been released to the seller but the order has not yet been received, the buyer has still 30 days to request for opening an after sale dispute on Paypal if the solution has not been found between the buyer and the seller. Paypal will negotiate neutrally for both the parties to reach a solution of the problem. Anyhow items which have been received and used or damaged by the buyers cannot be replaced or returned. If items are received damaged then the buyer has only 7 days to request for a Return & Refund after receiving the items otherwise the case will be dismissed. How Paypal Protects Buyer's Transactions? Within 5 to 90 days after the seller has dispatched the order, a buyer can ask for Return & Refund request to the Seller. If the buyer and seller fail in coming to a mutual agreement for solving the issue in 10 days, the request will automatically be forwarded to PayPal. The issue then will be resolved according to terms and conditions of PayPal. Read More. How can a buyer apply for a return & refund request? The buyer needs to sign in to the TradeDirectory.com's account and find the order for which he/she wants refund or return. After that the buyer will need to click on the option available in front of that order "Return & Refund". If in any situation if the buyer and seller cannot reach any agreement between them, the buyer can ask TradeDirectory.com to intervene and solve the situation according to the Mediation & Arbitration Policy of the website. When will a buyer be able to receive the refund amount after applying for it? The time it takes for paying back the refund to the buyer depends on different aspects, for some situations it may take a long time to find out the legal evidences and proofs to solve the issue while in others it may not take as much time. TradeDirectory.com aims to provide the refund as soon as possible but may take few days to few weeks. A simple advice for the buyers is to do check the reviews and feedback of the previous buyers for the seller. New buyers mostly prefer to buy from the sellers having a long marketplace history, a high feedback rating and an active history of orders. For all the buyers no matter new or old it is strongly recommended to be more cautious and precautious while buying from a new seller or a seller with no track record. The quality of products may vary seller by seller on TradeDirectory.com therefore; the buyers need to be extra careful when the seller is offering some products in lower prices as compared to the prices of similar products. Do communicate and interrogate the seller about this huge difference among the prices as they might be compromising on the quality of the products. If in any situation the buyer has doubts about the quality of products, he/she can buy the sample first before placing a large order. It is strongly recommended to have all the conversations with the sellers with the help of communicating tools available on the TradeDirectory.com. These tools automatically record the history of all the conversations between the buyer and seller. That history can be used whenever some dispute occurs between both the parties to solve the issue by knowing what terms and conditions were agreed by both parties. First of all pay strong attention on the unit format mentioned for the products you are intending to buy. Products on TradeDirectory.com are mentioned for selling usually in pieces or lots. If a buyer does not want to buy products in wholesale then he/she needs to go looking for products which are sold in pieces rather than lots. Double check the shipping address before placing the order. This is really helpful in decreasing any unnecessary delay or inconvenience in receiving the orders. Payments are very secure, safe, simple and straightforward on tradeDirectory.com. However payments through offline bank transfers or western union may require some extra steps. Do add the reference number on bank payment form if you are transferring payment through offline bank transfer it helps us in linking the payment with the order more easily. While transferring payment through western union do not forget to add the MTCN number in the finalizing stage of payment procedure. 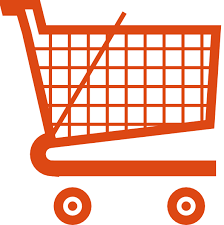 If a buyer due to any reason fails to do so the payment will be considered incomplete and TradeDirectory.com will be unable to process the order. According to the procedure on PayPal the payment of order will not be transferred to the seller unless and until the order mentioned is confirmed by the buyer. Please do remember to check the received items carefully before mentioning the order as confirmed on the website. If any problem is identified in the received items contact the seller and PayPal as soon as possible and the delay may cause inconvenience. Does TradeDirectory.com's escrow service needs any payment or charges to be used? No, there are no extra charges required to use this escrow service. This is by default provided to every buyer registered on TradeDirectory.com. How does TradeDirectory.com's escrow purchasing process works and why is it important for a buyer to know? It is easy for the buyers if they want to open a dispute in future or if they want the refund of the items in case they are unsatisfied with the received order. In which situations a buyer is allowed to apply for refund or return? TradeDirectory.com ensures by all means to provide its customers a very good buying experience. Unfortunately, there are still situations when customers are not satisfied with their ordered products. In situations when the buyer is unable to receive the shipped package, the products received after delivery are damaged or broken or the received items do not match with the description provided on the website TradeDirectory.com allows the buyers to apply for a refund or return. In other situations we also offer partial or full refund when the products sent to the buyer is of the wrong style or quantity, the quality of product is not up to the mark of the buyer's expectations or the shipment is arrived partially damaged or broken. Refunds are also offered in situations when the seller has clearly tried to do fraudulent activities with the buyer. In any of the above cases/situations TradeDirectory.com is the ultimate authority to decide on the amount of refund depending on the severity of different cases. In case when the buyer and the seller have solved the issue among themselves TradeDirectory.com will not intervene. Can a Buyer Ask for refund or return if he/she is not satisfied with the quality? Yes a buyer can ask for refund or return if he/she is not satisfied with the quality of received products. In this situation TradeDirectory.com will work as an intermediate to decide whether a partial or full refund will be issued to the buyer only when the issue is not solved between the seller and buyer directly. Can a buyer return the product to the seller simply because he/she has changed the mind for the order? Yes a buyer can return the product to the seller if he/she has simply changed the mind for the order. In this situation the buyer needs to return the order within the decided return time between both the parties and the buyer will be responsible for any international shipping and returning cost of the order. It is strongly recommended to discuss the seller's return policy prior placing and finalizing the order to avoid any future inconvenience. After placing an order, in how much time a buyer is allowed to request for return & refund? The time allowed requesting for a return and refund to the buyer greatly depend on the reasons of asking return & refund along with the type of product for which return & refund is requested and the shipping method used for shipping the order. For all the non-electronic items return & refund requested strictly on concerns in the quality of products the buyer can ask for return & refund request up to 90 days after placing the order. While for electronic items the permitted time duration is up to 30 days after placing the order. For the products and items, which have never been received the return & refund can be requested up to 60 days after placing the order. Return & refund requests for all the other reasons like wrong product, damaged during shipment or product not matching as per description etc. can be asked up to 7 days after the confirmation of the delivery. Can a buyer ask for refund even after confirming on the tracking page that the order is complete? Yes, order completion confirmation does not affect the buyer to apply for the refund or return if all the other criteria of return & refund are fulfilled. How can a buyer apply for a return & refund? The buyer needs to sign in to the TradeDirectory.com's account and find the order for which he/she wants refund or return. After that the buyer will need to click on the option available in front of that order "Return & Refund". If in any situation if the buyer and seller cannot reach any agreement between them, the buyer can ask TradeDirectory.com to intervene and solve the situation according to the Mediation & Arbitration Policy of the website. How long it takes to approve and process the return & refund request from the buyer once it has been submitted? It is difficult to give an accurate time span because the reason and complexity of the requests from buyers vary greatly. It also depends on how long it takes to gather all the evidences and information required to solve the issue. The process may take from several days to several weeks. TradeDirectory.com will ensure at each point to make this process hassle free and as efficient as possible for our valuable buyers. How long it takes if the buyer's request of refund has been approved by TradeDirectory.com's resolution center? Once, the request has been approved the funds are immediately transferred to the buyer's account by TradeDirectory.com. Somehow the payment method which has been originally used to pay for the order can affect the time it takes to transfer the refund. Can the return & refund issues be solved among the buyer and seller directly or is it must to involve TradeDirectory.com in solving the problem? It is recommended to consult the seller directly and reach a certain agreement but if there is no possible way left for a buyer to reach an agreement with the seller then TradeDirectory.com will be obliged to intervene and solve the issues. Does a buyer need to send back the order to the seller in case if the refund & return request has been approved? It depends on the seller and the product in the very first place. Generally, if the shipping cost of the order is way more than the price of the order then the buyer is not asked to ship back the products. It is strongly recommended to contact the seller directly or TradeDirectory.com for any such situation separately. Does a buyer need to pay for the shipping cost for the returned products if the request for return & refund has been approved? It depends on the reason why a buyer has applied for the refund & return. If the refund & return has been asked for the 100% guarantee category products then the seller will be responsible for paying the shipping cost. If buyer has simply changed his/her mind to not keeping the order than it will be the buyer's responsibility to pay for the shipping cost. For all the other reasons than the above stated TradeDirectory.com will be responsible to decide who will pay for the shipping cost depending up on the different situations.